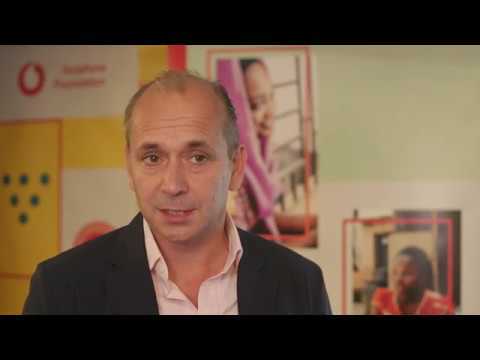 Girl Effect and Vodafone Foundation were joined by industry experts from UNICEF and Gavi, the Vaccine Alliance to discuss how to unlock the power of mobile technology for girls, ahead of the 2018 Social Good Summit and the UN General Assembly, in New York. There was fantastic energy in the room as guests from over 20 organisations including UNGEI, the Global Fund, Unilever, GSMA and GIZ were given an exclusive preview of a ground-breaking global study into vulnerable adolescent girls' access and use of mobile phones. The event celebrated the transformative potential of inter-sector partnerships. It highlighted the part we can all play in match-making across sectors to harness our varied skills and resources to solve the world’s most pressing problems. Here at Girl Effect we are combining our expertise in girls and content with Vodafone Foundation’s experience of implementing programmes that use mobile connectivity. We aim to give seven million girls across eight countries access to the information and services they need through mobile. And we are calling for more partners to join us in this ambitious challenge. "It's very exciting, we are going to bring the energy of 130,000 people into supporting this programme." Panellists discussed how mobile technology can drive offline change, increase uptake of critical services and achieve the UN Sustainable Development Goals. “The great beauty of digital”, panellist Patty Alleman, Senior Gender and Development Advisor at UNICEF, noted, is that it allows us to gather live feedback to inform platform and programme design. Patty shared her organisation’s motivation to explore how digital technology can achieve large-scale results tailored to meet the varying needs and experiences of girls globally. For example, in Indonesia and Mongolia, UNICEF is considering how to design period tracker apps, with and for girls, that meet their diverse realities. 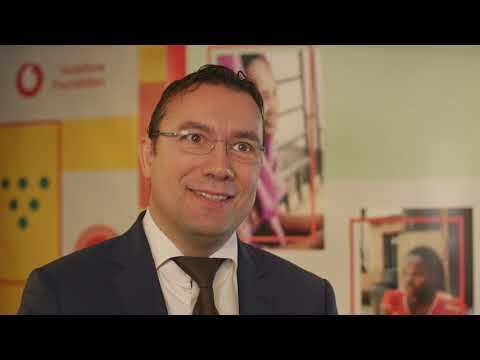 Speaking about the high proportion of deaths from cervical cancer in developing countries, Guillaume Grosso, Director of International Business at Gavi, noted that there is a lack of information and misconceptions about vaccination. Guillaume shared how mobile technology has the power to inform, implement and track the success of programmes. Through Gavi’s partnership with Girl Effect, we are seeking to understand, motivate and generate demand for the HPV vaccine in Malawi, Ethiopia and Rwanda. "The girls that we are talking about are the mothers of tomorrow, the business women of tomorrow, the teachers of tomorrow, so it is very important that we get it right." Conducted by Girl Effect and Vodafone Foundation, the study, Real girls, real lives, connected heard the voices of over 3000 girls and boys, using a methodology built in collaboration with MIT D-Lab. Claire Tavernier, Interim CEO of Girl Effect, summarised insights from the study which showed that although access can be challenging for girls, they are consistently finding ingenious ways to get their hands on mobile devices. "Mobile opens up enormous amounts of opportunities for girls that are still relatively untapped"
Moreover, girls face multiple barriers to accessing mobile, including social stigma and shame. This contributes to a lack of digital literacy, which limits the way they use a device when they get online. Guillaume concluded that the online space is a fast moving target and we have to continuously design with girls as part of the process to keep up. The study shows us how to do that better – it sheds light on where, when and how girls are accessing mobile. Girl Effect and Vodafone Foundation are accelerating our partnership, launching in Tanzania and India in 2019. We invite like-minded partners and funders to join us and ensure girls aren’t left behind. Together, we can empower girls online with access to the information and services they need to achieve their potential. Thank you to Andrew Dunnett, Patty Alleman, Guillaume Grosso and all our guests for joining us for such a lively discussion. The full global study is now available for download here and you can find out more about Girl Effect’s mobile platforms here.